Are weddings becoming too expensive for guests to attend? In today’s digital world there is a lot of pressure to have the best, most enjoyable wedding, regardless of how much this costs. The average cost of a wedding in Australia has ballooned out to $26 000 – the cost of a deposit for a house. As the costs of having a wedding soar, so does the cost of attending a wedding. The need for perfection and to create one of a kind weddings has created a competitive wedding culture that has added to the soaring cost of a wedding. Brides are fighting to make their weddings one of a kind, unforgettable affairs that they and their guests will remember for the rest of their lives. Destination weddings, weekend long weddings and festivities are becoming increasingly popular as brides and grooms seek the perfect wedding. 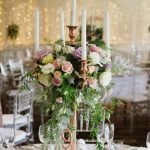 These extravagant weddings are placing increasing financial pressure on guests, especially those with multiple weddings to attend over the course of the year. Destination weddings have been increasing in popularity over the past decade as more and more couples choose to get married in exotic locations. Not only is a destination wedding, a wedding, it’s also a holiday, and everybody loves a holiday! But for many guests receiving an invitation to a destination wedding invokes a sense of dread. There’s nothing worse than having to decline an invitation to a wedding because you can’t afford to attend it but sadly this is the case for many people, especially with destination weddings. If you have your heart set on a destination wedding, expect a fair chunk of your guests to be unable to attend. It’s not just weddings that are becoming more and more expensive, so are the celebrations that accompany them. Gone are Hens nights and Bachelor parties, they’ve been replaced by elaborate weekend long events that are scheduled down to the minute. It is commonplace for guests of a bachelorette or bachelor weekends to be expected to fork out nearly $400 just for accommodation for the weekend. This figure doesn’t include food, drinks, travel, entertainment or the matching outfits that are often also expected for the weekend. While this may not sound too outrageous, what organisers don’t think about is the fact that around the corner there are several other wedding associated costs bound to arise. When you factor in the cost associated with attending the engagement party, bridal shower, the wedding itself and any other wedding festivities it can become very expensive very quickly. Unfortunately elaborate affairs are becoming the norm. When you plan your wedding it should be everything you want it to be, and if you can afford to spare no expense, then good for you. But spare a thought for your guests. Do you really want to invite all your guests to your destination wedding and risk many of them not being able to attend? Or would you prefer an intimate ceremony with only a handful of guests at your wedding and then a party at home for all your family and friends? This way you still get your destination wedding and your guests still get to celebrate your marriage with you, without having to leave the country. If you have your heart set on a weekend long wedding with lots of different festivities for your guests to attend then why not see if you can organise a block of discounted accommodation for your guests who have to travel? This will allow relatives to stay together and save them some money on accommodation. If you have a gift list for your wedding, then make sure there are plenty of affordable options on there so that guests aren’t forced to spend more than they can afford. Your wedding day should be all about you and hopefully it’s everything you ever dreamed it would be. But, what is the best day of your life without your best friends and family there to share it with you? I bet you haven’t dreamed of having a wedding with just you and your partner. If you can make it easier for your guests to get to your wedding, then why not? Your day will be made magical by being surrounded by the people you want to celebrate with you. Let us help you make sure your special day everything you dreamed it would be. Talk to our dedicated functions team at Waterside Events today, or send us your enquiries here.